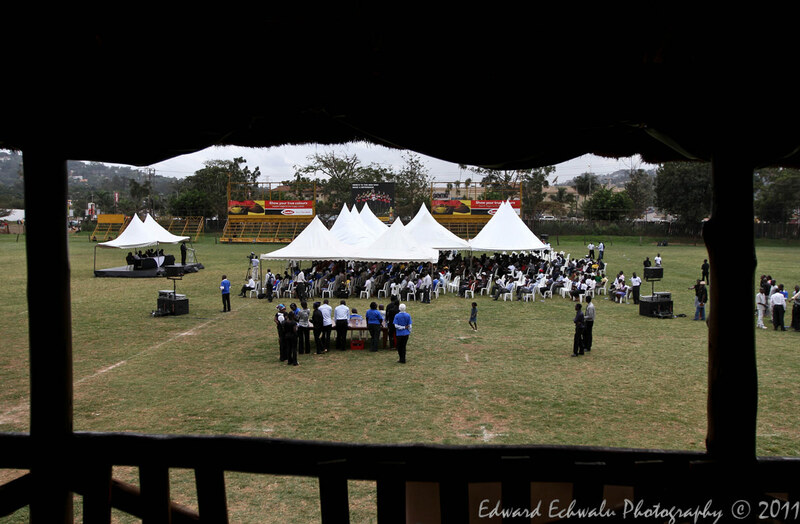 At the first anniversary memorial prayers at the Kyadondo Rugby Club, 86 candles were lit in remembrance of all those who passed away on July 11, 2010 while watching the football World Cup finals. 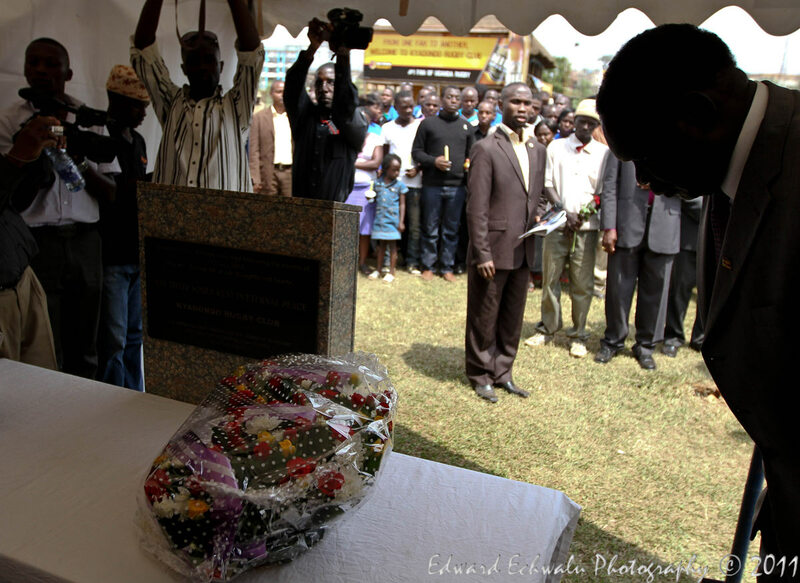 Internal Affairs Minister Hilary Onek pays his respect after laying flowers on the memorial slab at the Kyadondo Rugby Club on July 11, 2011. 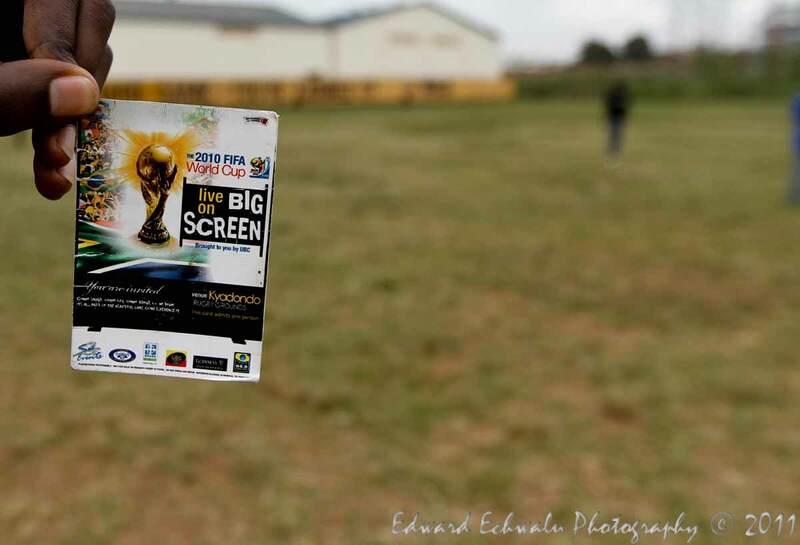 In total, 86 people were killed in a twin bomb blast on July 11, 2010 while watching the football world cup finals in Kampala. 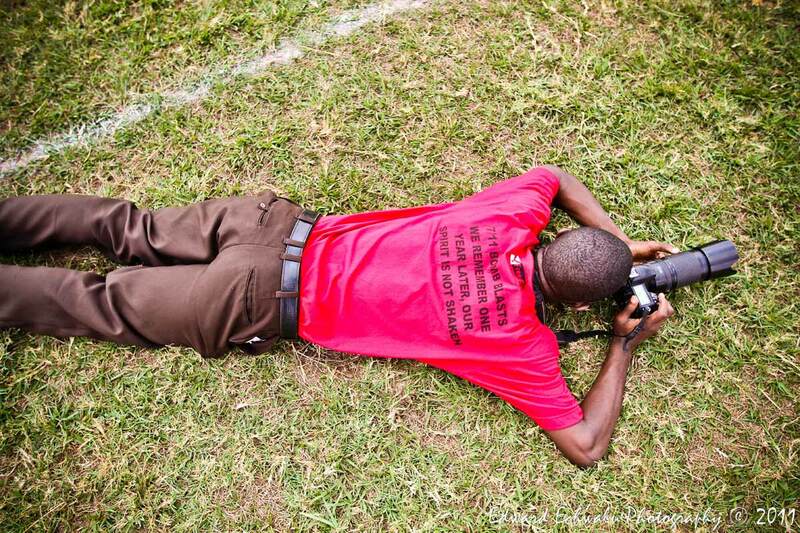 A photojournalist lies on the ground while taking pictures at Kyadondo memorial prayers with words inscribed on his T-shirt reading; “7/11 bomb blast, we remember one year later, our spirit is not shaken.."
This ticket was meant for Eric Malinga, one of Uganda’s legendary basketball players. He currently plays for Kyambogo Warriors. He failed to make it to Kyadondo Rugby Club on the fateful day .Albert Ahabwe, then journalist with East African Business Week survived the bomb blast but still holds onto the ticket that might have ended the life of his best friend. One year later, the memories are still very fresh. 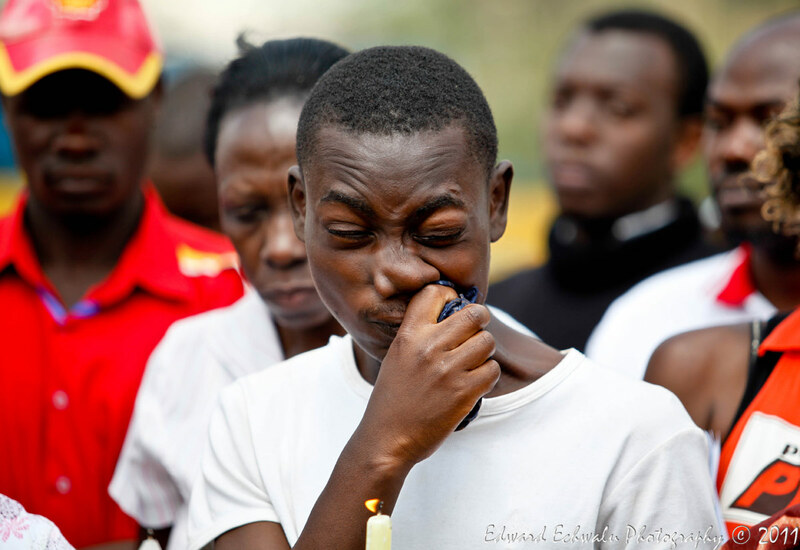 Friends, relatives and well wishers could not hold back their tears as they attended the first anniversary of the July 11, 2010 Kampala bombings that claimed 86 lives. 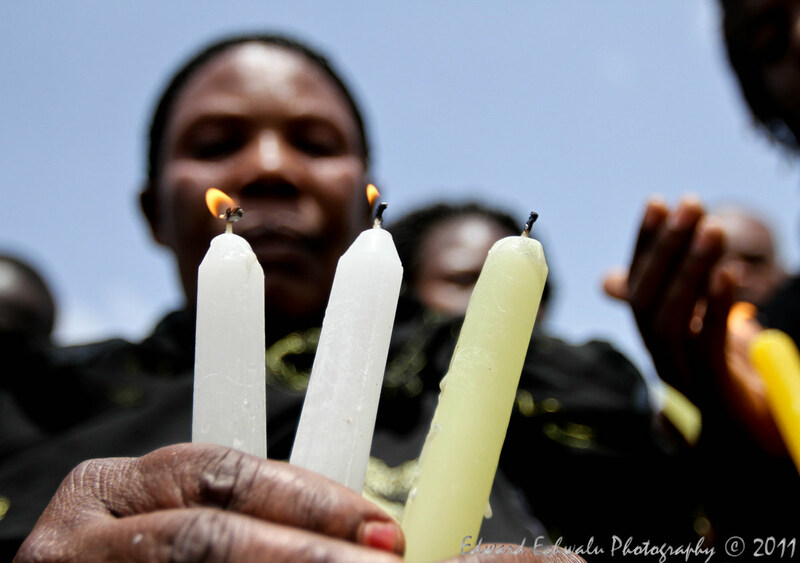 People attend mass to mark the 1st anniversary of the Kampala bombings at Kyadondo Rugby grounds on July 11, 2011. In total, 86 people were killed in a twin bomb blast on July 11, 2010 while watching the football world cup finals in Kampala. 1 Year. You are still in our hearts. my God, i can’t believe this was the attendance, does it mean we are too scared to even remember our lost souls? At least the seats prepared for the prayers go filled up, so we got away with that shame..
Forgive Ugandans, today we had no means of transport and that place is still a horror in itself. i believe your side too..there are people who just don’t want anything to do with Kyadondo Rugby club…They are still terrified. i remember the next day was my birthday and i had planned a double celebration if my team won, but it all turned to a black day.